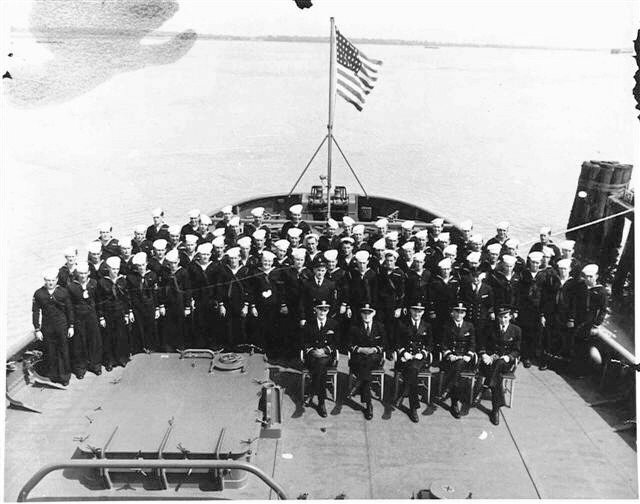 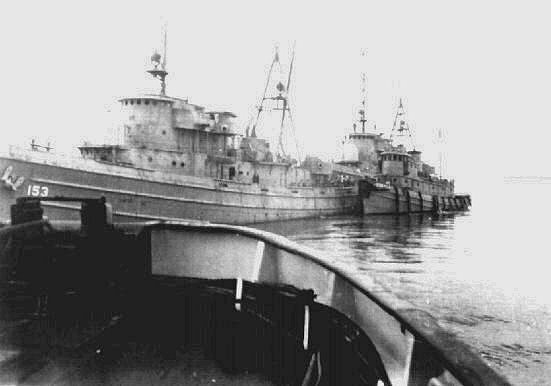 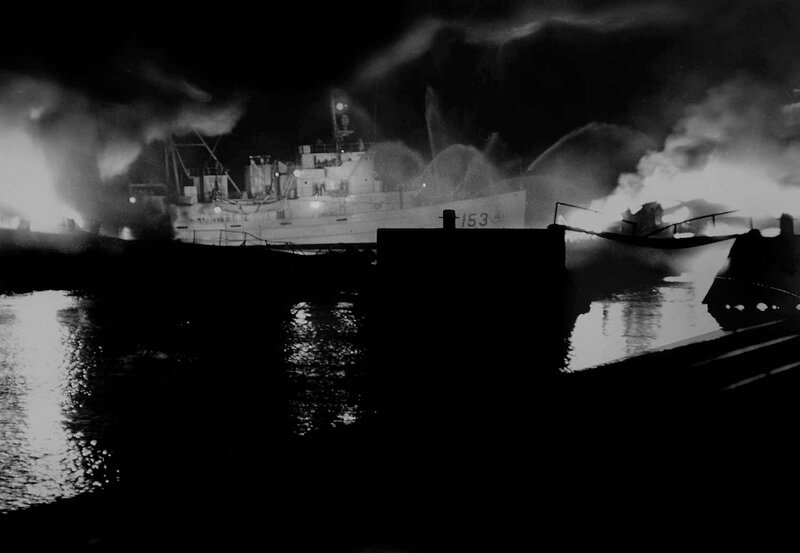 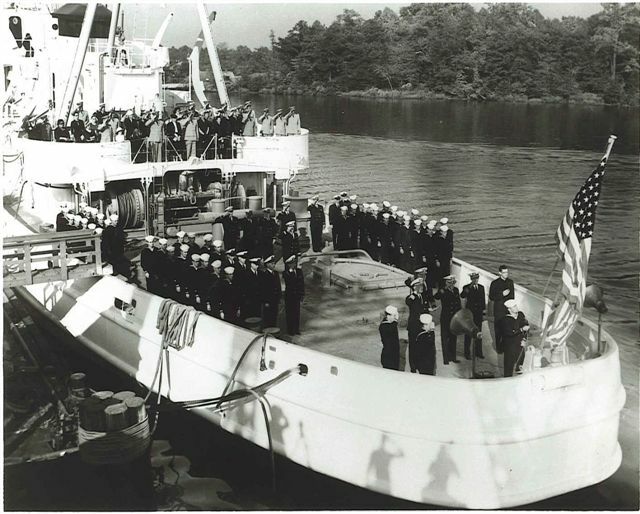 Laid down, 13 June 1944, as Fleet Tug (AT-153) at Charleston Shipbuilding and Dry Dock Co., Charleston, S.C.
Decommissioned, 8 February 1947, at Orange, TX. 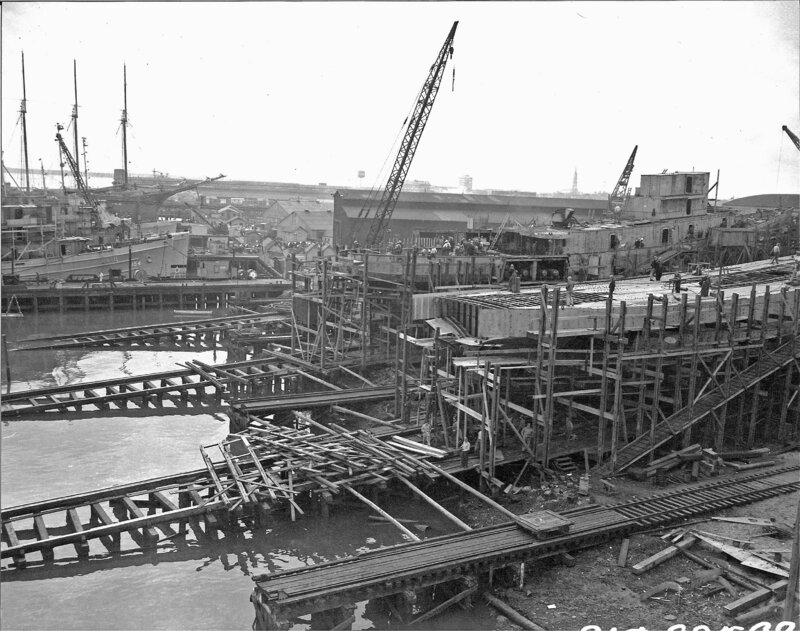 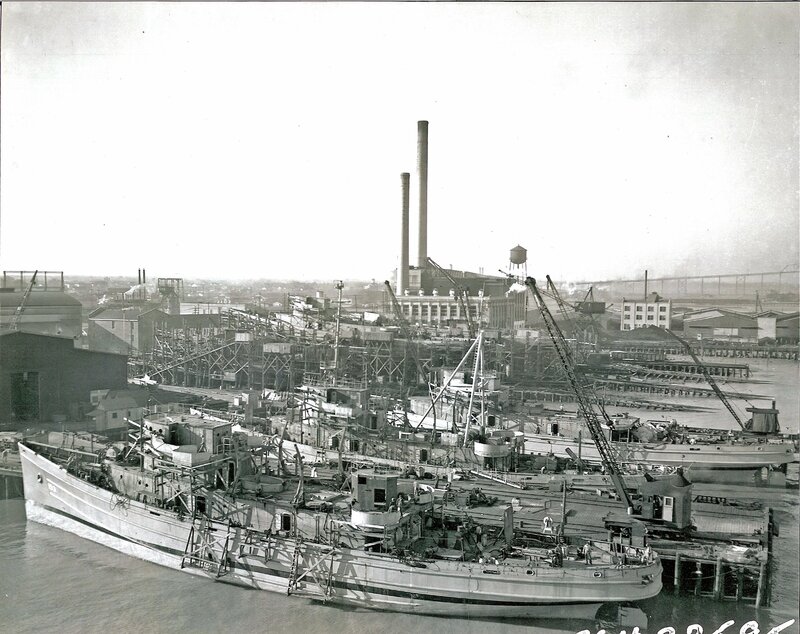 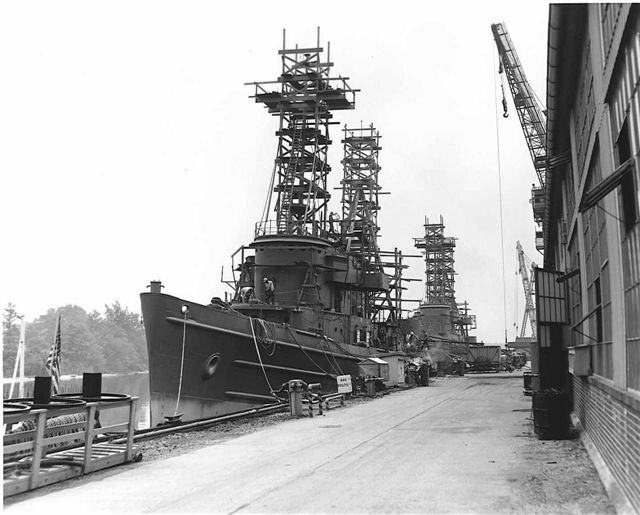 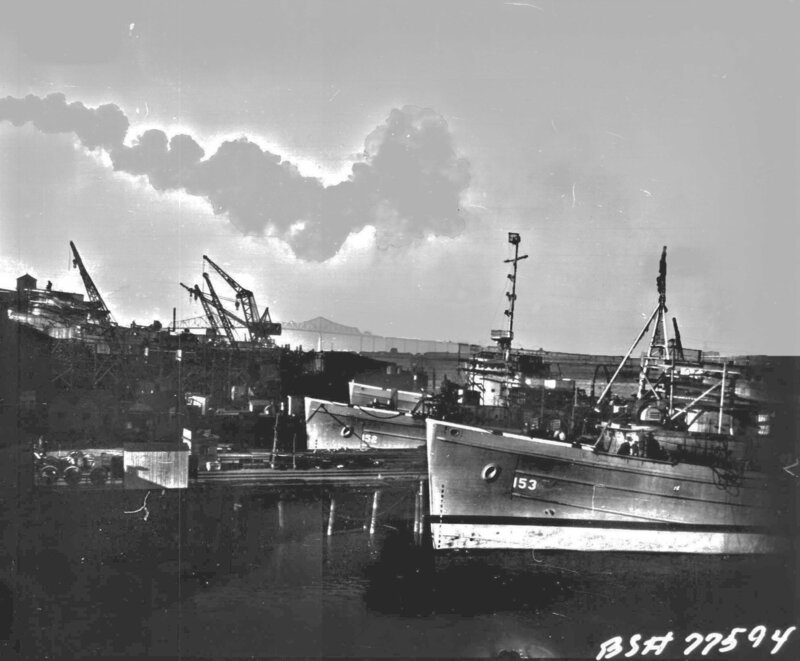 352k USS Chilula (ATF-153) and USS Chimanko (ATF-154) fitting out in January 1945 at Charleston Shipbuilding and Dry Dock Co., Charleston, S.C.
64k USS Chilula (ATF-153) commissioning crew photo, 5 April 1945 at Charleston Shipbuilding and Dry Dock Co., Charleston, S.C.
54k Ex-USS Chilula (ATF-153) in tow by USCGC Cherokee (WAT-165) in 1956 on her way to the Coast Guard Yard Curtis Bay , MD. 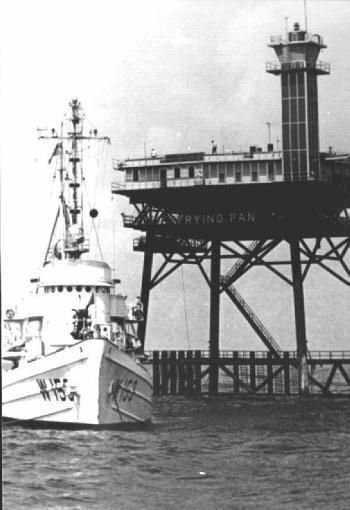 for conversion to Coast Guard service. 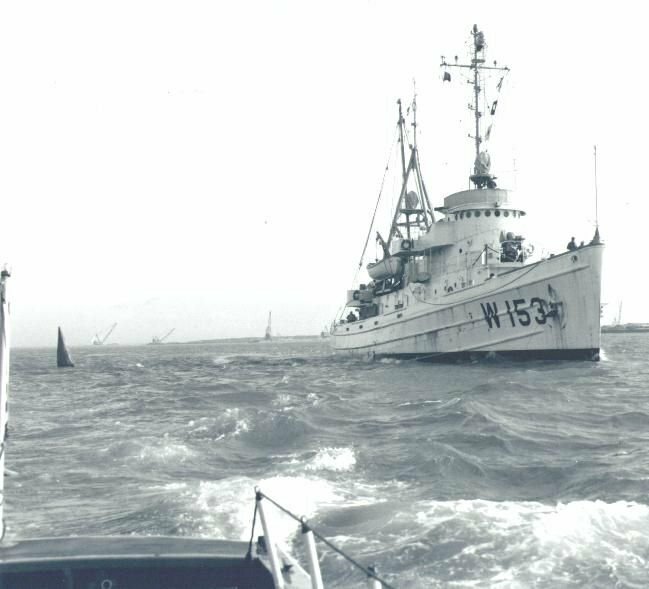 27k Ex-USS Chilula (ATF-153) ex-USS Avoyel (ATF-150) being towed in 1956 by USCGC Cherokee (WAT-165) to the Coast Guard Yard Curtis Bay , MD. 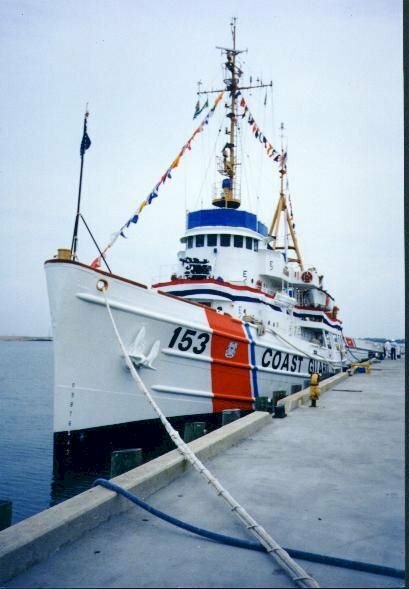 for conversion to Coast Guard service. 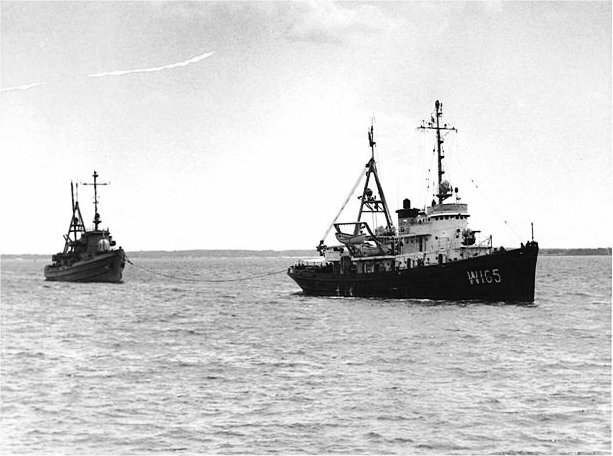 The harbor tug alongside is unidentified. 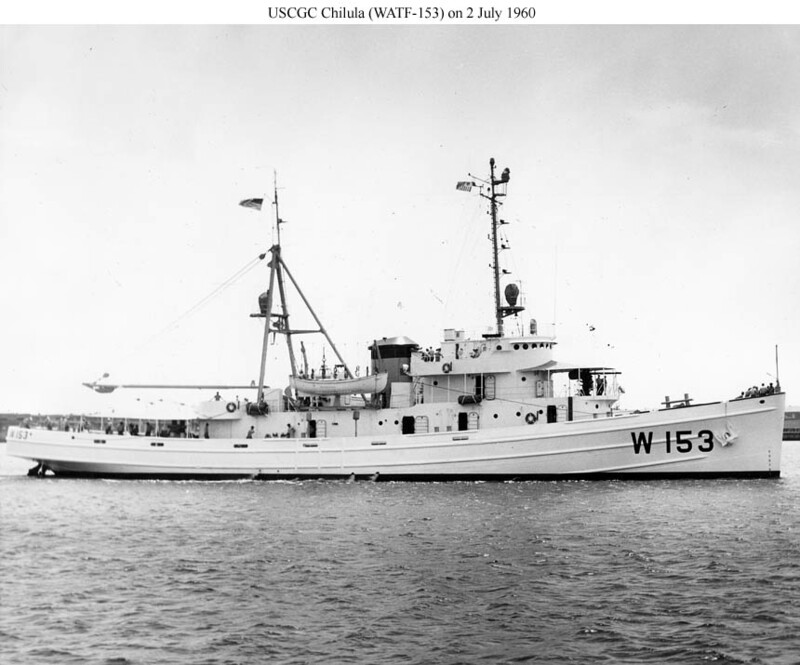 61k Ex-USS Chilula (ATF-153) be converted for Coast Guard service at the Coast Guard Yard, Curtis Bay, MD. 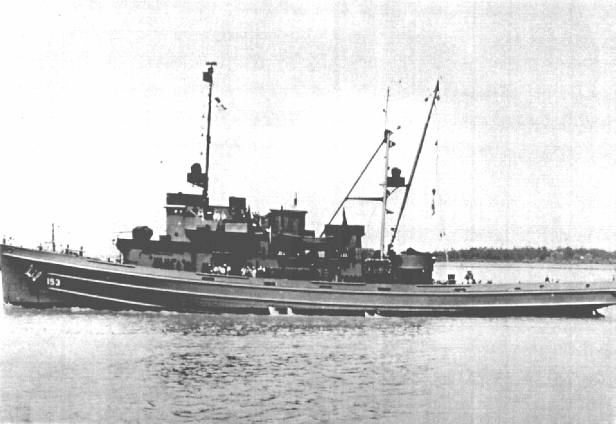 in 1956. 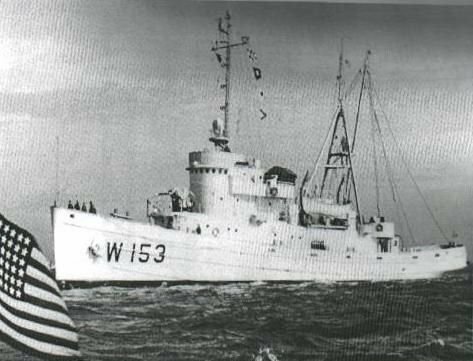 Astern of Chilula is ex-USS Avoyel (ATF-150) also undergoing conversion to Coast Guard service. 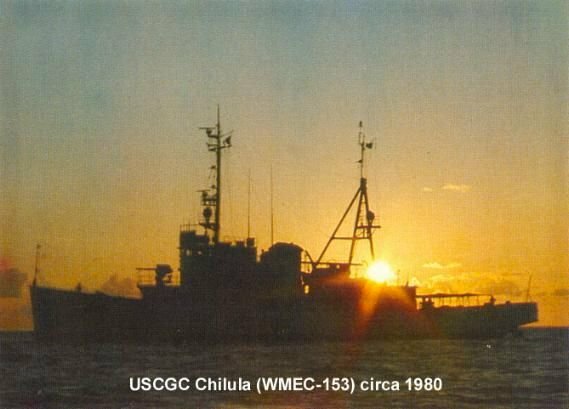 103k USCGC Chilula (WMEC-153) under way 2 July 1960, location unknown. 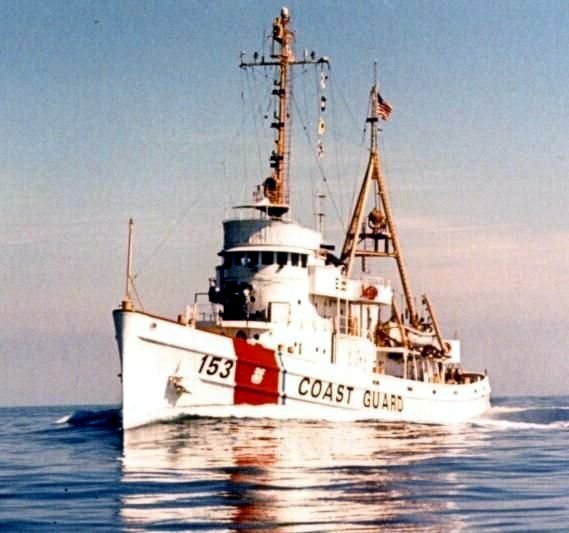 The Coast Guard used her primarily for search and rescue.